The Winnipeg Jets had joined the National Hockey League in 1979, but the team moved away in 1996. Winnipeg kept fighting to get its team back, and in 2011 the Winnipeg Jets were reborn. The Canadian Museum of Human Rights opened in a spectacular new building near the Forks ... "
This book was originally published in 2002. It has been updated this year in celebration of Canada's 150th birthday! It will serve readers well for browsing, and learning more about the country they live in. 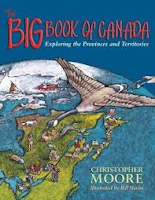 Perfect for the coffee table, or the classroom bookshelf, it is meant to inform anyone interested in our history, and tells how Canada has grown both regionally and nationally. Being able to concentrate on the provinces and territories one at a time is sure to garner interest for families, too. 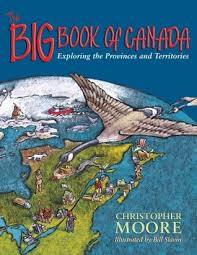 Each chapter covers landscapes, special moments, peoples, places on its map, industry, famous and infamous provincial characters, law and order, plus a list of general information and a page that describes something unique about the province itself. It's accessible format and easy style give readers the opportunity to visit a place that may be unfamiliar to them. It's a great way to visit Canada without leaving the comfort of your easy chair. Archival photographs, full-color illustrations, maps, and information boxes add to the appeal. Bill Slavin has done a wonderful job of providing details and garnering attention for what is depicted throughout the lengthy text. In back matter there are suggestions for further reading by provincial writers that give further context to life in each of the provinces. For example, Manitoba works include writings by Margaret Laurence, W. D. Valgardson, Arthur Slade, and Chester Brown. stole all of the M's. A hockey team turned into tea. stole all of the N's." 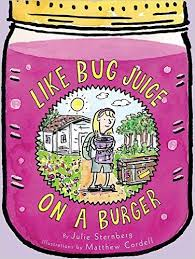 Full of fun and zany wordplay, this is an alphabet book that is sure to find fans among kids who love to read something different. It's small format makes it great for sharing with a friend, and its premise will have readers scrambling to come up with some of their own ideas. Bill Richardson does a commendable job of taking letters from words to make new ones, while also creating a complete transformation for the verse as it began. He makes good on his promise to find a way through the alphabet without losing sight of the wacky idea that set him off. The rhymes are most enjoyable and quirky. Readers will find much here to like. "CAN NOBODY STOP the Alphabet Thief? Can nobody end her spree? Before she takes all of the G's?" 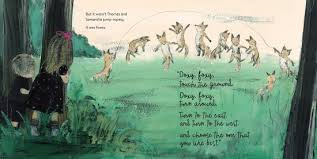 Repetitive language, terrific rhythms, and well-managed rhyme make it great fun to share. The illustrations that accompany each of the word changes are filled with humor and appealing characters. 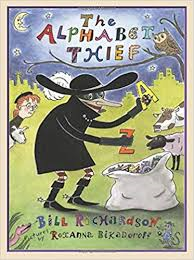 The thief has a familiar witchy look ... big hat, long nose, striped stockings, buckled boots, a feathered hat and a mask. The little girl, a sleuth-like observer of the actions, is often perturbed by the results of the ever-changing words. Her dog feels much the same. In the end it is up to that young girl to put an end to all of the thievery. Using the letter Y as a slingshot, she pummels the thief with ammo in the form of the letter Z, putting the thief into a state of deep slumber and bringing the Alphabet Thief's spree to a halt! Brava, young lady! Engaging and detailed, this is a book that will have readers poring over its pages and reading with great exuberance. Oh, what a lovely tale to read with little ones. They will surely see themselves in it - their belief that anything can happen, that wishes do come true, and that new friendships are worth pursuing. Told in Roxie's quiet voice, it is the story of a sister and brother who are sharing a snack when Roxie suddenly remembers the jump rope she left at the park. She invites Lukie along to retrieve it. When they get there, the rope is gone. But, what is that sound they hear? Can it be their friends still playing? As luck would have it, it is, in fact, a group of fox kits and they are ... wait for it! ... jumping rope! Roxie and Lukie watch in awe from behind a nearby tree, not wanting to frighten the kits or disturb their play. They are just too darn comical! Without meaning to do so, Lukie laughs quietly at their antics. Their sharp ears know that someone is nearby. The children come out from their hiding place and are welcomed warmly. They are also asked for help in this rope jumping endeavor. Roxie is quick to give instructions and the two join in their raucous romp. When the sky 'becomes peachy', they know their day of play must come to an end. As they prepare to say goodbye, Roxie notices that the rope being used is hers, as it has her name painted on it. 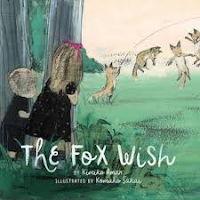 That is when she discovers that the littlest fox shares her name and had made a wish for a game to play when they got to the park earlier in the day. The rope is her wish come true. The child Roxie handles the situation with aplomb and generosity. 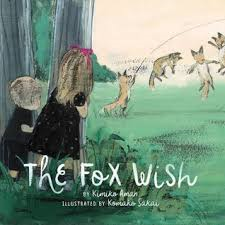 If you are not familiar with Komako Sakai's artwork, having a close look here will send you to the library or bookstore to find her other books! She is so sensitive to children and their lives. She uses gorgeous acrylic gouache paints, oil pencil and ballpoint pen to bring the children and the kits together in park's warm setting. I loved the peach of the sunset and the pure joy the kits brought to an unfamiliar pursuit. I know this is going to become a favorite new read for Sicily when I see her next. I am going to take great pleasure in sharing it with her - repeatedly. "Many birds fly thousands of miles, and some stay airborne around the clock until they are old enough to breed. Even if a bird is far away, you can often tell what kind it is by its silhouette, or by the way it flaps its wings. Birds of prey soar high into the sky, with their wings held out straight. Other birds speed past in straight lines or graceful curves. Some flap their wings in bursts ... "
I haven't posted any books from DK in a while now. I remain in awe of the work they do to get information books into the hands of young and keen nature enthusiasts. They design their books for assured ease of use, and fill the pages with incredibly detailed photographs that help young learners with context for that learning. Each page has short paragraphs of pertinent information that relates to, and improves on what is being shared. how to tell if birds are visiting your yard from the clues they leave. 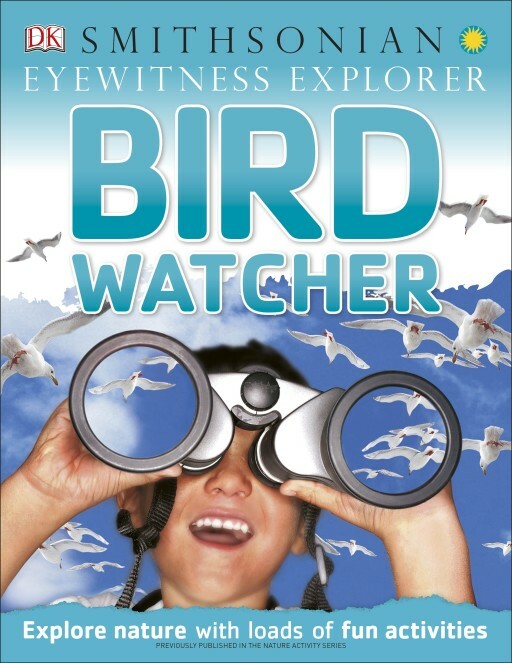 There are 30 activities described to help readers learn how best to attract, feed, study, and name the birds they see. The science is explained, and the learning is most enjoyable and reliable. By putting out nesting materials in your yard, you can watch as birds construct their own individual homes. You will see which bird gathers, and which one builds. If you are lucky, they might build it close enough for you to watch them hatch and care for their new babies. "If you have a nestbox in your yard, you will be able to see just how quickly birds grow up. Most people get by on just three meals a day, but baby songbirds need many more. Their parents have to work to keep them fully fed. By watching them for just 15 minutes, you can estimate how many times they bring food to the nest in a day." And there's more! 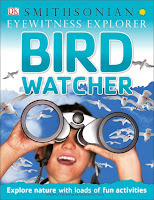 It's a great book to give a budding birdwatcher, along with a pair of binoculars and a field guide. They will be off and away. peril that came down on him." Poor little kitten! No family, no home, no way of truly knowing how to live in such a dangerous world. Yet, he manages to survive, though not exactly thrive. When he gets stuck in a tree, he needs help. Oops! He is saved (or is he?) by an animal control officer. Food, companions, no danger to avoid, and safety for a little one who has known none of it. "Boredom was better than misery." The boredom quickly ends when a forever family scoops him up and takes him home with them.
" ... he learned that the house was his house, the yard was his yard. He learned that the people were his people and he was theirs. He belonged to them and they belonged to him." Much loved, eager to discover both the inside and outside of his new surroundings, Swan makes the most of every perfect day ... and night. 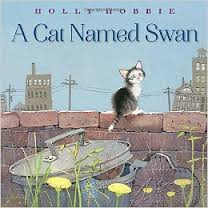 Holly Hobbie uses pencil and watercolors to bring Swan and his two very different circumstances to glorious life for her readers. From the dull and dirty city we are transported to the joyful colors of a rural landscape. She shows first the terrors, then the joys, in realistic and winsome art. She matches the energy and emotions felt by all and we are lucky to be rapt observers of Swan's transformation. "As you approach the rim of the canyon, the climate becomes cooler and more moist. Vegetation on the sloping Toroweap Formation is more dense than below. Before exiting the canyon, however, there is one more layer to scale: the Kaibab Limestone. The Kaibab cliffs are full of marine fossils that tell us about life here 270 million years ago ... "
It's a father and daughter excursion that leads us to observe the many wonders of the Grand Canyon. Luckily, we have a rocking chair observation station and will not actually feel the rigors of the challenging trek from the South Kaibab Trail up, up, up to the South Rim. As they go, we have a great view of the geological landscape that has so inspired and intrigued visitors. By reading the accessible text and spending time pondering the incredibly detailed images, we learn a great deal about the creation of this mesmerizing place. From its basement rocks which are as much as 1.84 billion years old to the Ponderosa pine forest above the rim, Jason Chin affords us a most interesting lesson in geology and the passing of time. An illustrated image of the more than twelve rock layers found there is provided near the beginning of our trek, and acts as a guide and a reference as we move up the canyon. The science lesson here is so beautifully constructed, and most enjoyable for his audience. 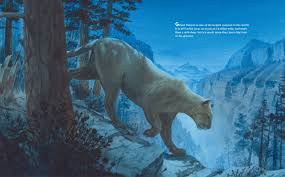 He fills the borders with the flora and fauna of each habitat, the rock formations, the development of the layers, the fossils found in the various layers, the weathering and erosion, and the climates of each. It is a complex story made easier to comprehend through this stellar presentation. Cutouts at various points along the way peek through and give the child a chance to take a step back in time and experience first-hand the many changes the canyon itself has undergone. 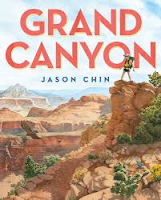 Back matter runs to six pages and expands our knowledge for how the canyon was actually carved through eons. A short discussion of our journey, a look at the human history of this remarkable place, the ecological communities that are prominent in the canyon itself, its geology, formation, the Colorado River and the mystery of its formation are each briefly discussed. He adds a note from himself and then one about his illustrations before providing an extensive list of resources for further study. The man did his research. His art reflects his personal visit. A cross section of the canyon and a glorious four page foldout to give a panoramic view will hold readers in awe of its 'grand'eur. 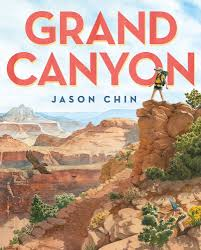 "This book is my tribute to the canyon and also to the power of the imagination. After all, it's imagination that makes both science and art possible. I hope that this book captures my readers' imaginations, just as Grand Canyon has captured mine." "Then the two friends flopped onto their favorite rock while the city pulsed around them. "I wish we could see it," Gus sighed. "You don't have to see it to feel it," said Ida. "Listen." They heard buses groan; police whistle; taxis honk; pigeons coo; ... "
In the gentle story of loss and the grief that follows, we meet Ida and Gus. They are two polar bears making a life in a city zoo. Gus is constantly attentive to Ida, loving being with her and sharing happy times and adventures. "When the sky grew dark, Gus and Ida waved good night and crawled off to their caves. With the subways humming underground, they added their snores to the sounds of their city. Every day was always the same." While they love being together, life changes for them. Ida doesn't always have good, happy days. She is tired, and cannot enjoy swimming as she used to do. She sleeps for lengthy periods of time and even coughs often. One day, Ida didn't come out of her cave. Sonya told Gus that Ida was very sick. and too weak to swim and play." Caron Levis does not shy away from death, wanting her audience to know that it is a part of life. She even allows the two bears a growling, heartbreaking rant for what is going to happen. When it stops, the 'fold' into each other and enjoy the rest of their days together, wondering and guessing and imagining what is to come. As Ida's health declines, Gus is a constant companion. Gus is there when Ida breathes her final breath, and he is heartbroken. That is as it should be. But, he always remembers Ida and knows she is still 'there'. where Ida liked to soak in the sun. He listens to their city pulsing around him. you don't have to see it to feel it." 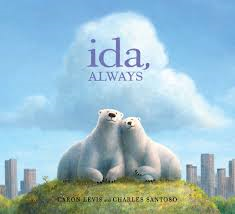 Filled with beauty and emotion, this is a story that will resonate with every child and adult who shares it. The digitally rendered artwork is so effective in its moody colors. There is sadness in the love lost, and joy in the remembering. Their world is most often filled with blue skies, that change dramatically with Ida's death, and return to wonder with acceptance. which I couldn't even make. Going to summer camp was a nightmare for someone who got as homesick as I did. The memories are as clear today as they were 53 years ago. Everything that we did was meant to be fun, and educational. For me, it was torture. So, I commiserate with Eleanor's worrying as she prepares to go Camp Wallumwahpuck rather than getting a dog ... some surprise from Grandma Sadie! when she was a girl. I think you'd also enjoy it. Leaving Brooklyn on a huge bus, with one new acquaintance, and arriving at camp is frightening. The surrounding forest is full of whining bugs. It's much too quiet. Her swimming skills leave something to be desired, so she has to wear a life jacket - even when jumping on the trampoline that floats on the lake. The food is unfamiliar and unpalatable. Readers who have experienced some of those same fears and worries will be entirely sympathetic to Eleanor's plight. As we read from chapter to chapter a new and unique event is described. Told with plentiful dialogue and in first person, it is made more dramatic and accessible for the reader. Gradually, with support from other campers and concerned counselors who are becoming her friends, Eleanor begins to adjust to camp life and to see some of the things that make it special. She does not have the same love for it that her mother remembers so fondly, but she makes the best of it. She does have a new friend, and learns about caring for a goat. "You see?" I said to them. "I'm a huge help with animals. So can we get one? My parents looked at each other. "We'll see," my mom said. And my heart went flying. Matthew Cordell, as he did in Like Pickle Juice on a Cookie (2011) and Like Carrot Juice on a Cupcake (2014), creates detail-filled line drawings that are emotional and telling. 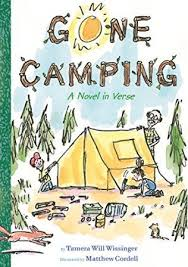 Full of energy and the terrors and joys of camp life, they add humor and sympathy for an earnest and apprehensive new camper. I love one message that Eleanor reads on the Wall of Feelings, a place where campers share their thoughts about camp. Eleanor has total understanding for its words. I don't love this camp. but I don't need to love it. I just need to survive it." Early years listeners and readers are going to love knowing more than the young boy who shares his observations about Mars. He has always wanted to travel to the planet, firmly believing that he will find proof of life there. Once he arrives, he realizes just how dark and rocky it is. His gift of chocolate cupcakes may be for naught as he wanders aimlessly on the desolate landscape. He begins to have doubts of his own. Abandoning his gift, he heads back to the spaceship. Wait! Don't give up! As he wanders, he loses his way and is astonished to finally find a living thing - it is a bright yellow flower. He is ecstatic. Now he will be able to prove to the naysayers that he was right. There is life on Mars! As he continues his search for the spaceship, he is further surprised to see the box of cupcakes in a different location than where he thought he left it. No matter. 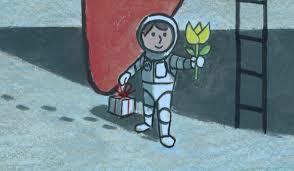 He picks it up, carries it and the flower to the top of a nearby mountain and sees what he has been looking for - his spaceship. It's time to go home, where a bit of a surprise awaits. 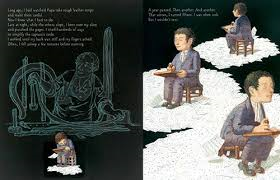 Once again, reading this book for the first time, without benefit of illustrations, will allow kids to put their imaginations to work and also garner many different visual interpretations of the text. Once you read it the second time, while sharing Jon Agee's brilliant and telling artwork, they will see the story as the wonderful joke that it is. Now, they will see what the spaceboy is not seeing - a rather large, orange, pear-shaped Martian who tracks him and apes his sentiments as he explores the red planet. Only one joke, but it will have little ones screaming out warnings and hooting as the creature silently shares his take on the alien visitor and his exploration. 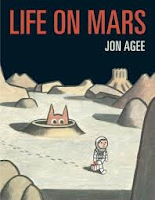 Jon Agee knows how to tickle funny bones and produce terrific books with memorable characters. His illustrations are full of fun, and his text is perfect for kids just learning to read on their own. A ninja must be concealed. Maxwell is ready for combat. All he needs is an opponent. His entire family is busy at their own pursuits. Mom is making dinner. Cassy is playing with blocks. Dad agrees to a game of hide-and-seek even though he is lost in work on his tax return. He immediately forgets that he has made that promise. It takes Maxwell a long time to find the perfect hiding spot, and he is discouraged by his father's forgetfulness. What can a ninja do? Off he goes to practice an important ninja art - meditation. It doesn't help. When his mother calls him for supper, he is astounded to find no one at the table. We all can see what's in store for him. The wait for results is worth it for every young reader! There is a surprise attack, captured in bold colors, expressive faces and a wild series of battles. The artwork throughout is full of panels that aptly show all the emotions that our young ninja is feeling. Fine details add depth and understanding. 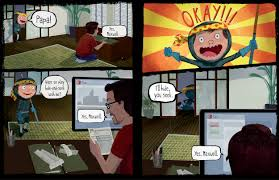 It's comic book style and ever-changing perspectives are full of interest. Be sure to watch how mood changes the colors used to portray the action. 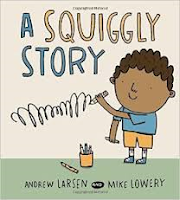 It is a story that will have great appeal for children and the parents who share this second story about Maxwell. (Ninja, Henry Holt, 2014). "Ella's mother scolded them and said they couldn't take any more chairs. And Ella's extra father agreed with her. Ella has two fathers. A real one she never talks about and an extra one called Patrick. Except that Ella calls him Paddy. Paddy said that chairs belong at home in the kitchen and not in the park. Dani and Ella stopped playing monkeys and went to play with their hamsters ... "
Ella has gone, and Dani continues to miss her every day. At school she wants to keep Ella's desk free for her, in case she comes back. She lets her classmates know those wishes. Her teacher is not optimistic that Ella will return; Dani is sure she will. Trying to encourage Dani to reach out and explore other friendships, her teacher places Dani between Vicky and Mickey for lunch. What we, as readers, see is the way the two girls treat their classmate. They bully and pinch her mercilessly. 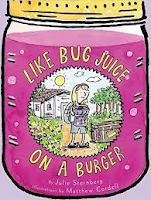 In anger, and to defend herself, Dani uses the sauce at the table to allay their bullying. Some lands on the teacher! Dani can't believe the result of her actions. She runs home. No one is there, which allows her to cry in private about all that is troubling her. Things don't get much better when her father does get home. He says she must go to school and apologize. She will not! Left alone, she uses memories of her friendship with Ella to cheer her up. I like that the author uses a flashback to provide back story for those who have not yet met Dani. Finally, ready to talk with her father, she finds him in the kitchen. When everything is finally sorted out and they return to school, they are able to explain what happened and set the wrongs right. All this is due to Dani's very optimistic way of looking at life. 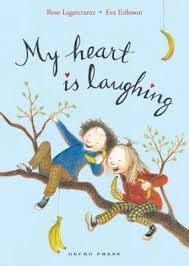 It makes her a most worthy protagonist and is sure to garner fans for Rose Lagercrantz's other stories about her. It is an honest, sad and challenging at times, and yet joyful tale. We learn quickly that Dani is a girl worth knowing better! Where Pandora lives there is little beauty. The landscape is filled with junk; things that others have thrown away. Pandora rescues items that have beauty for her, and takes them to her home where she works to make them right again. The home itself is welcoming and quite wonderful. She is happy there, but alone. One day, outside her window, a tiny bluebird falls from the sky. He is a broken thing. Pandora does not know how to fix him. She can offer comfort, care and safety. Time heals the bird, allowing him to take longer flights and bring gifts to Pandora. All are placed inside the box that was his nest. Then, one day the bird flies and does not return. 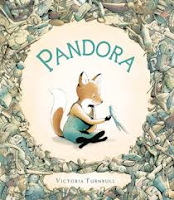 Pandora is alone again, and so very sad ... until her world undergoes a magnificent change. The text is quiet and essential, not wordy by any means. It is through her art that Victoria Turnbull creates a world of wonder. First, in the desolate landscape that does nothing to deter Pandora from her caring manner and willingness to make it better. Then, through friendship and love. The nest she creates to protect and serve the broken bird is dramatically changed by the generous gifts of thanks he brings from his travels. It is quite a miraculous transformation. Both sadness and hope are at the heart of this charming book. 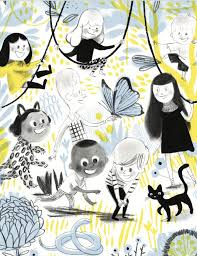 Imaginative and hopeful, this would be a perfect read for Earth Day! "You have a BEGINNING. Now we're in the MIDDLE of the story. Something else has to happen so we can get to the END. I'm stuck again. I start doodling. I doodle another V. But this time I doodle it UPSIDE DOWN. OH, NO! It's a SHARK! It's getting CLOSER and CLOSER! I flip the page to get away from the shark." I like to read books to kids that encourage them to try something new - and that make it feel doable. The little boy who shares his story with us is in awe of his big sister. She loves to read and write, and she loves all kinds of words. Because he doesn't have the same skills, he pretends that he can do the same. In fact, he is doing what most kids do when they are learning the intricacies of literacy. Every so often, there is a real word or two. They come from his environment, and are special to him - cat, hat, mom, etc. That is how it begins. Watching others, asking questions, copying what you see others do are important first steps. The allure of being like his sister drives the boy to share his dreams of writing, and his sister responds. Can he start with a letter? Of course, he can. It's a great way to begin, she assures him. And off he goes to try his hand at making his own story. With her encouragement and guiding questions, it all begins to make sense. He uses symbols, letters, ideas. Soon, he has a beginning. On they go to doodle a middle filled with action. The story goes to school with him the next day, and he shares it at show-and-tell. His teacher has some pertinent questions, his classmates have suggestions for careful thought. They give him pause to think more carefully about how he wants his story to end. His sister remains helpful, but does not do it for him. 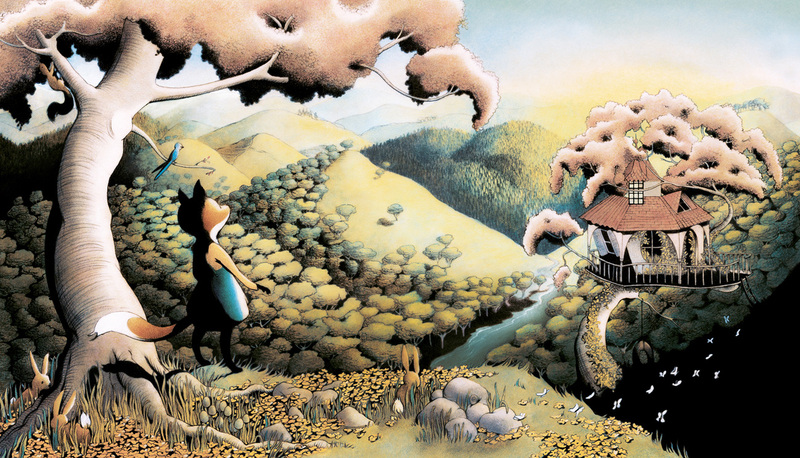 Starting with a few illustrations, he is able to construct an ending and even a beginning to his next story. He's off ... just like his rocket ship! Simple line drawings, speech bubbles, and a growing ability to get his ideas down on paper are shown in Mike Lowery's enjoyable artwork. Backgrounds are filled with print and books. All are sure to encourage listeners in the audience to take a risk and see what they can do. It's a worthy pursuit. In the sky among the stars. Here's my wish this camping night. Let me be alert and strong. I really enjoyed reading this companion to Gone Fishing (HMH, 2013). It's another novel in verse. This time around, Sam and Lucy are eagerly anticipating a family camping trip. Until it's time to sleep. If a critter crawls inside." A major glitch changes everything. The morning finds Dad with a terrible cold, and Mom holding down nursing duties. It's Gramp to the rescue, and the kids are wary. Lucy is extremely worried as she is afraid of the dark, and critters that might be out there where she can't really see them. It turns out that Gramp is great fun. Together, they enjoy a campfire, weenie stew and soon the familiar night noises. Not to mention the fun to be had at the nearby lake. 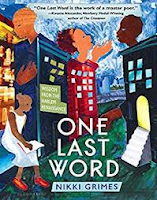 As she did in the first book, Ms.Wissinger fills the pages with variety in poetic form, and an abundance of information for making poetry part of a child's reading and writing experience. She offers up information on rhyme and rhythm as well as a alphabetized list of poetry techniques and poetic forms and stanza patterns, and finally a resource list. All very valuable to teachers or parents wanting to explore poetry with their children. Wait till we tell Mom and Dad how many fish we caught. Wait till Dad hears all about our fishing frenzy spot. Wait till I show Mom my mighty fighting arm. Wait till we tell Dad that Gramp's our lucky fishing charm." 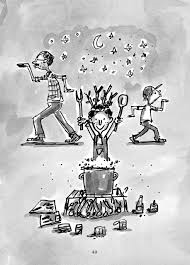 Matthew Cordell's illustrations add humor and grand expression to the adventure, as he did in the first book. Full of detail and changing emotions, his line drawings offer a much appreciated look at the fun to be had when the three venture into the wild. It's a lot more excitement than anyone might have expected. The world is changing - and in many ways. While people of the world are eating more meat than they ever have, there are also more and more who are choosing a vegetarian diet. It is a conversation that is taking place for many. To eat meat or not? interesting - than I ever imagined." We are the readers who benefit from all that Ms. Elton has researched. In four parts, she examines A History of Meat-Eating, Why Go Vegetarian, If Not Meat, Then What, and Becoming a Vegetarian. It is an in-depth look at health and how growth in meat consumption, the fact that many people have meat at every meal, and the spread of a love for meat are now being felt in countries that have not historically eaten much meat at all. As she looks at the history of eating meat, she takes us back thousands of years to a time when hunting and gathering was the way of life. As far back as 25 million years animals were eaten. Later, if crops failed, people had to turn to other foods to keep them from starving. They didn't choose animals simply for the meat. Those animals provided other sustenance as well. Traditions have changed throughout the years, and so have beliefs about meat eating. Different religions influence the choices that some people make. In the second part she discusses the many reasons that people might consider a vegetarian lifestyle, or a move toward it. There are many concerns about the effects of growing meat to feed so many and how we might make a difference. Something as simple as Meatless Monday can have an impact. Others are concerned about animal welfare, and the high cost to the environment as they are raised to feed so many. Can we keep production high enough to accommodate those who eat meat? It is a valid question. The third part considers what we might eat to replace the consumption of meat. She lists sources where we can find protein, minerals, fats and vitamins that have traditionally been provided through our meat-eating habits. What about plants and their benefits? Many cultures of the world provide needed nutrients through plant-based dishes. 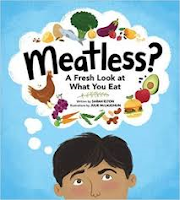 Finally in part four, the author helps us understand choosing vegetarianism as a way of life. She talks about assuring that protein is a part of a daily diet, that there are substitutes to replace meat in a daily diet, the foods we should avoid, and the need to learn to cook from scratch. Thus, we can avoid all the additives that have proven unhealthy for many. She adds a weekly menu for a meat-free diet ... it looks delicious and healthy. She also talks with five kids who are vegetarian or vegan, bringing their stories to her readers. Interesting, impressive and accessible, this book will help kids and their parents to understand a different and perhaps healthier lifestyle. It's the way people stare. what it is to be brave. that everything will be okay." 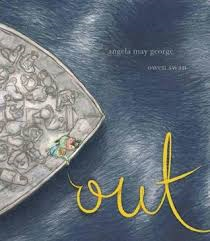 We are blessed that authors and publishers see the need today for books that share the plight of refugees, and that we have the opportunity to share them with our children. Once again, seeing the world through a window into someone else's life is sure to make us think more clearly about their circumstance. The young girl, who is our narrator, and her mother have just arrived in a new and unfamiliar place. So much has happened to them as they fled the war that is ravaging their home and homeland. Travelling by boat is dangerous, but safety and a new home drive them to take the risk. Their songs and stories give them peace as they make that journey. Although they are now in a safe place, their struggles continue. Memories of past terror often leave them scared and speechless. Their family is not together; Dad was left behind and may still be in the refugee camp. The music of the dance is unfamiliar and reminds the child that she has left so much behind to make a new life. New friends make it easier, and help is given when needed. A special surprise makes everything much better for the whole family! The watercolor and pencil illustrations add a sense of warmth, especially with the addition of color as the story progresses. The child and mother are the center of attention throughout, with backgrounds fading in importance to their personal plight. It is perfect for sharing with young readers, and will surely help them understand what is becoming a more and more prevalent issue in many communities. In the front matter of this new book, Nikki Grimes includes a preface which talks about her love of poetry and her admiration for the poets of the Harlem Renaissance. They all had an influence on the writer she has become. Then, she adds a note about the Harlem Renaissance itself when writing that reflected racial pride began proving 'that there was more to the minds, hearts, and souls of black folk than previously expressed'. They taught people how to stand tall, live their lives and stay positive in trying times. An author's note, and an explanation of the poetic form complete what we need to know before we get started. That form is called the Golden Shovel. To say it is challenging is surely an understatement! This incomparable writer does an exemplary job of penning poems that ring with truth, beg careful thought, and encourage young readers at a time when strength and hope are much needed. To simplify the way the poetry works is to say that a short poem, a stanza, or a striking line is taken from one of these famed writer's works and used to create a new poem, by ending each line of the new piece with those words on the right margin. (I'm sorry I couldn't make it post exactly as it is written. So much beauty is in her words as she honors the words of those others. I reread my favorites to marvel at the poems she creates that so closely match the messages from her mentors. She is a remarkably skilled writer, making her work seem effortless despite the confines of the form she chooses to use. The poems are organized three parts - EMERGENCY MEASURES, CALLING DREAMS and TO A DARK GIRL. So relevant for her intended audience while describing scenes of superheroes, racism, poverty, peer pressure, bullying, community, family, love, and pride. 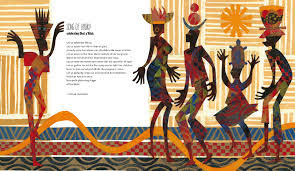 The full color artwork is as stunning as the words of the poets, and all were created by well known African American artists. In back matter, Ms. Grimes includes brief biographies for the poets and the artists, as well as adding a list of sources, and an index. This is a much needed and very important addition for school and classroom libraries. "John was excited to be put in charge of the chickens. There were about sixty of them: Rhode Island Reds. Strong-winged bantams. Dominiques with gray stripes as dull as dishwater and legs as yellow as daisies. John loved to see them flutter and strut and flap their wings. Every day, John got up early and fed them dried corn just shelled from the cob ... "
John Lewis is a very serious man. He has good reason to be. Speaking eloquently and powerfully during the civil rights movement required it, if he was to be heard. He continues to speak for his people and as congressman for the 5th district of Georgia. If you are interested in knowing more about this important orator, you can check out a PBS program called John Lewis: Get In The Way. It is available for download on iTunes. 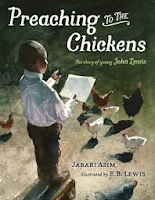 To know just a little bit about his childhood and his training for the life he leads now, you can turn to Jabari Asim's picture book biography. John grew up in a loving farm family where everyone had an important role to play. John was in charge of the chickens, and he loved them one and all. He knew each of them by name, and liked to practice his oratory skills as he went about caring for them. As he watched them bob their heads toward the feed he was distributing, he liked to think they were agreeing with what he had to say. He talked to them of peace and being righteous when they fought over food, or refused to share. He did so much of this talking that his siblings gave him a nickname: Preacher. John was happy with that nickname. He loved going to church, and listened carefully to the preachers each week. He wanted to be like them, and honed his skills in the chicken yard. "He knew that someday he'd speak before thousands. He hoped that his words would stir people's souls and move them to action." So good to read this happy back story of Mr. Lewis' life. 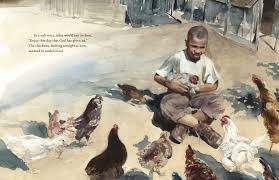 E. B. Lewis uses watercolors to bring the young boy's family and home to life for readers. His light-infused images show a joyful boy filled with love and concern for others, especially for the chickens in his care. What he learned at church and in the chicken yard led to his being one of the most influential and inspiring leaders in the ongoing fight for civil rights and equality. A brief author's note speaks of the admiration Mr. Asim has for John Lewis, and has always had. That shines through on every page of this fine story, and will hopefully inspire readers to look deeper into the work Mr. Lewis has accomplished throughout his long and venerable career. "Let's play ball!" says Pistachio. She bounces his ball on the floor. Dog snorts. Pistachio opens the door. Dog opens one eye. "Come on, Dog." Pistachio is growing impatient. Dog grunts as he heaves himself up onto his tiny legs. He waddles to the door. He looks outside. 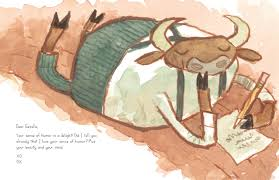 He sighs, shakes his head, and waddles back to his cushion." For fans who have been waiting for a new adventure with Princess Pistachio, your wait is over! She is as feisty and positive as ever, although she has a big worry about Dog. Seems he has no interest in doing anything but sleep and eat, then do it all over again. Pistachio wants more for her beloved pooch! She thinks he needs to get some exercise. She's sure there must be a more exciting way to spend his time than sleeping it away. He might just die of boredom, if she doesn't do something. What she does is take him to school. It is not exactly successful! A few days later, she notices a sign in the bookstore. It seems just the ticket. The Doggone Theater is looking for dogs to audition for a starring role in an upcoming production. Pistachio thinks Dog will be perfect. Her best friend Madeline is not convinced. "Can't you read?" says Madeline. Poor Pistachio! Fear not; she is not one to give up. Imagine her surprise when Dog gets the starring role and goes on to acclaim as Maurice the Magnificent, the perfect dog for a princess. Will it cause a problem with Madeline and why? And, how will she handle it? If you want to know, you will have to read this new book from the incomparable Marie-Louise Gay. "Let's make the I Hate Shannon Club. and you can't be a member. Well, I don't want to be anyway! The I Hate Shannon Club only lasted a day." This memoir, told with heart and pain, will speak to many students ... as they experience Shannon Hale's story told with such candor. They may be feeling as she did right now, have had such encounters in the past, or may suffer the same in their future. No matter when, this new graphic novel will help them realize they are not alone, or the only ones going through it. "Some have said that memories are the stories we tell ourselves about our past. Best Friends is the story I've been telling myself about my elementary school years. If you were to ask the other people portrayed in this book how it happened, surely the story they've been telling themselves would be different from mine." Shannon wanted to be in 'the group'; it was not to be. Instead, she was bullied. Jenny was particularly fond of making her life miserable. For Shannon, it meant stomach problems, sick days and many medical visits. We are beginning to recognize anxiety in young children today, with research and a growing understanding for what they face. Too often, we told them to stop worrying, to find new friends, to live with it. Thankfully, that is changing. It is not easy. Shannon helps readers understand that. Even home was not a sanctuary for her. Her older sister was abusive and caused great worry in the family. Shannon worked hard to deal with what was happening, often retreating to her vivid imagination to provide reprieve and courage as she learned more about herself. She does not make light of her own shortcomings. Some of it is hard to read, as it can be heart-wrenching. Still, it is a story worth sharing. Finding friends can be a time of happiness and hurt. 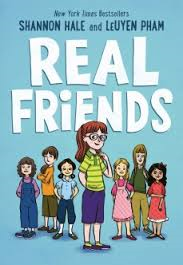 This book helps readers be more empathetic toward both Jenny and Wendy, who are experiencing difficulties of their own. LeUyen Pham's art helps with this, as they make visible the turmoil as well as the imaginary bent shown by a gifted storyteller. Emotions are evident, and beautifully portrayed. "Friendship in younger years can be especially hard because our worlds are small. In high school and beyond, I found many supportive, lifelong friends. If you haven't found your "group" yet, hang in there. Your world will keep growing larger and wider. You deserve to have real friends, the kind who treat you well and get how amazing you are." before formed and baked hard." What an unusually beautiful book this is! 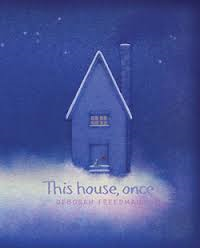 I am always so impressed with Deborah Freedman's flawless work. Not long ago I told you about Shy. Today, I am equally excited to share this new book with you. It is very special, and I see awards in its future. She begins with the door to the house. It is placed on white space, our attention drawn to the red doorknob on this tiny wooden opening. and as high as the blue." Oh, I hadn't thought about that. A turn of the page and a full page spread shows that small door placed in a tall tree that is shrouded in wispy clouds. We also see that tiny kitten, first noticed on the book's title page ... and a squirrel. Moving forward we learn about the stones that form its foundation, the bricks created the mud 'that oozed around roots', and the rock shingles that ensure shelter for those who live inside. Perfection! 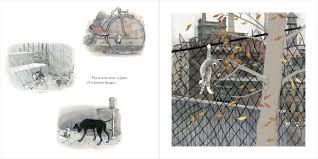 If you are reading this with little ones, their eyes will be constantly attentive to the kitten and the friends it gathers as the story progresses; the joys of discovery it makes as it sniffs out a mole, plays in the mud, and finally watches its new friends seek shelter from the coming cold. Just in time, the oak door opens to a home that offers shelter and protection. "The house remembers" and so will we. No words can possibly convey the contentment felt when the reading is complete. Our debt to nature and its bounty, the power of memory, the inquisitive brain piqued by quietly beautiful text, the eyes immersed in glorious artwork - all here for our admiration. "My family did what they could. Papa made a wooden cane. Each day I walked a little farther, tap-tap, tap-tap, tap-tap ... counting the steps between the house and the garden, the vineyard and the chicken coop, the baker's and the miller's ... and back to Papa's shop. My brother taught me to whistle: vreeee, vreeee, vreeeew! And when the sound echoed back ... "
I knew one thing about Louis Braille. I suspect you might be the same. I did not know that he was a very tiny baby, not expected to survive. I did not know what a happy, smart child he was. I did not know that an accident with an awl and a resulting infection left him without sight. Now, I do - and I know much more. It is why I have such admiration for the brilliant work that artists are doing to help our children meet new heroes. "I could see nothing at all. No trees or sparrows. No faces. No lace or loaves of bread. By the time I turned five, I was completely blind. My world was dark and dangerous. the walls, the door. My body ached. His family helped him deal with this heartbreaking change in his life, and he did well. Louis was more than determined to get an education. He was on a mission to make things better for people like him. He was frustrated by the lack of books for sightless students. Resolved to change that, he worked long years to invent a reading system that would work for himself and many others. 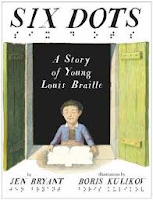 By showing Louis as a young, adventurous, intelligent boy, Jen Bryant prepares us for the diligence he would bring to the task of inventing the Braille system. She tells a powerful story, choosing first person narrative to make it personal and immediate for her readers. to simplify the captain's code. I worked until my back was stiff and my fingers ached. Often, I fell asleep a few minutes before morning. A year passed. Then another, And another. That winter, I turned fifteen. I was often sick. Boris Kulikov uses light and dark with great effect. Prior to losing his sight, the pages are filled with diffused light. As soon as Louis' eyesight is lost, some backgrounds become dark, with white print to tell the story. Back and forth, the light and darkness move, all dependent on which part of the story is being told. It is brilliantly designed, inspiring as it depicts the life of a determined and engaging young man who made the world a better place. "Unlike those other inventors, however, Braille was a child inventor who worked alone and without public support or financial backing. Living in a converted prison building and already suffering the early signs of lung disease, Louis Braille managed to create a system of reading and writing for the blind that is still used today. In the past several centuries, no one so young has developed something that has had such a lasting and profound impact on so many people." OX is not unlike my granddaughters - the personification of persistence. What Ox wants is to attract the attention of the famous and narcissistic Gazelle. Yes, she is famous. No, Ox is not. 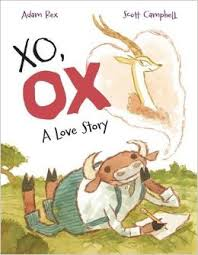 But, Ox determines that he will attract her attention by sending her a fan letter. He wants her to know why he finds her so admirable. who is running from tigers. Gazelle responds with the form letter sent to all who share their thoughts and feelings about her. Ox is not deterred. He continues his correspondence. Gazelle has her minion respond with a replica of her first response. Ox thinks it is a sign of intelligence and 'a tidy mind' that both replies are exactly the same. Her next missive will be her last, she asserts. And, he need not write to her again. like to tell me that I do not have any faults at all. The last two letters have come straight from Gazelle's pen - a sure sign that he has finally attracted her attention. Isn't that exactly what he wanted? And FYI, the correspondence does not stop there. Scott Campbell's watercolor and colored pencil artwork is full of charm and expands on the humor of the expressive notes that go back and forth between two unlikely loves. We meet them in endpapers and have a pretty good idea of personality before actually getting to know them better. We do become more fully acquainted with each turn of the page! conquering was more your ... "
The first thing I wanted to do this morning when I woke up was finish this second book in The Nameless City trilogy. That is exactly what I did! My friend Don will be impressed. Heck, I am impressed - with myself, and certainly with this new chapter for Kai and Rat. I met them ( I hope you did, too) in the first book. Kai is a Dao, one of the privileged who now lives in the city. Rat is a native city girl. She and Kai met in the first book. They learned much from each other, and even managed to stop an assassination attempt on the life of the General of All Blades. Kai's father is a general of the Blade empire and wants to initiate a council that would allow all states to have a say in the city's future. The General agrees with him after seeing the friendship that has developed between Rat and Kai. Although her parents were murdered by the Dao, Rat is able to be friends with Kai. The General sees in them hope for the city's future. His son sees no such path. Erzi is unhappy with his father's decisions, having grown up believing that it is his birthright to be the next ruler. In a fit of anger, he murders his father and takes control. He is ill-prepared. Mura is able to influence the decisions that he makes. 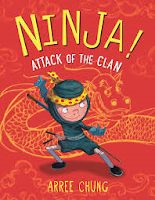 Kai, his father and Rat find themselves in danger of being captured and dealt with harshly. They make their escape to the monastery where Rat found refuge and guidance as an orphan. 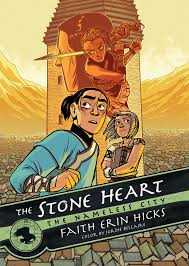 The monks of the Stone Heart are only too happy to protect them. Ezri is being guided by his own anger and Mura's need for revenge against the monks. She knows they have a secret and very powerful weapon. She convinces Erzi that they must find it. They will stop at nothing! Great characters, incredible art, a thoroughly designed fantasy world, fast paced action and an ever-growing greed help us learn more about the city's history, and leave us hanging as we turn the final page ... to what? We can only wait somewhat patiently together for the final book in this powerful and very entertaining trilogy. It was worth the early morning! lost pet? It's a parakeet. Oh, I am so happy to have received this book in the mail yesterday. I am presenting a workshop on new books for kids with a hardworking group of teacher-librarians this afternoon, and can't wait to share it with them! I love everything about it. Another hit for award-winning Isabelle Arsenault. Colette has moved into a new Montreal neighborhood. Moving boxes are strewn in the backyard and we can see from the conversation that she and a parent are having a disagreement about the need for a pet. She is forcefully encouraged to get outside and explore her new surroundings. Angry, she kicks one of the boxes over the fence. Her attempt to retrieve it leads to her meeting next door neighbors, Albert and Tom. When asked what she is doing, she is contrite and quite shy. It leads her to telling the boys that she has lost her pet (a small fib). The boys want to know about the pet. When they learn that it is a parakeet, they offer to help. As happens too often, the lie gets a little bigger as she meets more and more of the children in the neighborhood. Each has a question meant to improve their search capabilities. 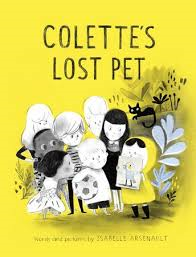 "Have you seen Colette's pet? a sound like Prrrrr Prrrr PrrrrrruiiiiiiT!" With every new child in the neighborhood, the description becomes more elaborate. When Colette is called in for supper, the search comes to an end and so does her saga of the lost pet. The children are astounded, yet so kind as they respond with more questions for her. Ms. Arsenault uses pencils, watercolor, and ink with digital coloration to create the winning images that will have young readers paying attention to every detail. The design is kid friendly, and filled with dialogue ... it has a graphic look with its black and white illustrations touched with bursts of yellow and blue. What I think is so special is that she allows her young readers a quick peek at the interests of each of the children introduced. Albert and Tom have a soccer ball; Lily has a leaf and a magnifying glass; Scott is quietly reading on his back step (with a bag of books at his side); Maya's yard has a fish fountain, plants and she's hugging a shell; Beth is drawing at a table in her backyard; Lukas is radio-controlling cars. We know what Colette's strength is, don't we? "Life was good, but because wolves are such social animals, it could get lonely for him. He would have liked another wolf to keep him company. He would have liked a mate, but so far he hadn't seen another wolf anywhere." In this dramatic nonfiction account, a male wolf breaks from his family and swims to an island in the Great Bear Rainforest, the scene of other terrific nonfiction by this talented team. 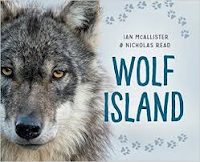 Readers will find much to like about the written account of the wolf's first year on his own, as well as the winning photographs that provide a close-up and personal view of all he encounters as he sets out to find a new home and family. In that year, as we watch the wolf explore his world, we learn about his adaptation to this new but similar world, how he feeds and what sustains him. We learn about the area itself, its climate, its food chain, and the dangers inherent for a lone wolf as he hunts for food. The wolf learns all that he needs to know for his own survival, and we anticipate with him the return of the salmon as that will provide some pretty delicious meals. "Wolves are expert fishers. When a wolf sees a salmon swimming upstream, he plants his paws on the riverbed and bites at the fish until he catches it. Then he tears off the fish's head, sucking up all the fatty brains inside. A hungry wolf will eat hundreds of salmon between August and December." As the wolf feeds on salmon, he also helps to feed the rainforest. While he is gorging himself on fresh fish, he senses the presence of another wolf. A female has arrived with the same innate need as the male - a new home and mate to start a family of her own. It takes some time for them to find each other. Eventually they do. "The male wolf was sure he had met his mate, and the female was sure she had met hers. From that moment on, they went everywhere together." With Ian McAllister's wondrous photos and Nicholas Read's accessible text, young readers are sure to learn why it is of great importance to protect and sustain the Great Bear Rainforest. It is home to a wide variety of wildlife, and is worthy of all efforts to keep it as beautiful as it is now. Two websites are mentioned in back matter. They provide needed information concerning conservation and offer teacher's guides for further learning. 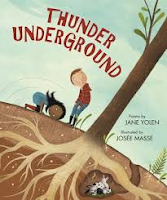 I have always enjoyed Jane Yolen's works. I have a number of her books on my 'keeper' shelves. She has an exemplary record for finding a subject that interests her, and writing a collection of poems that celebrate that interest. In Thunder Underground she turns her attention to things we might find beneath the ground's surface. There are twenty-one poems, some rhyming, some not. Each explores what we might find if we were to go below ground, and open our eyes and our ears. What comes first to mind are the many creatures whose homes are made there - ants, worms, beetles, moles, even bunnies. But, have you considered what is beneath the main floor of your house or under the ground in your garden? Or what about the subways and tubes that transport people from one place to another in cities of the world? deep in its underground den. There is variety in poetic form, which makes for an interesting read. They explore natural and man-made objects, even considering a lost city, fossils and pirate treasure. There is much to be considered and enjoyed as the poems are shared. Ha ... and some humor, as well. It is a most enjoyable collection, accompanied by mixed media artwork that puts the two children seen on the cover in or near every conceivable underground setting. In back matter, Ms. Yolen adds Notes on the Poems: Both Scientific and Personal. "When I was a child, I lived in New York City. My apartment house was on 97th Street and Central Park West, right over the subway. It growled and rumbled at night like some great animal in its den. I used to lie in bed imagining it, not a scary creature but a comfortable, well-tamed beast." Hit this one, hit that one. Let's go, I say to my father. Let's go, I say to my mother. 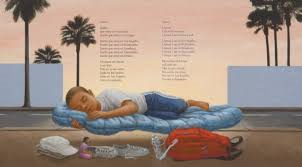 This frightening poem is written to help readers understand but one of the reasons thousands of children flee their homelands for a more secure life in the United States ... at least until now. There are so many threats to the lives of those who travel from El Salvador, Honduras, Guatemala and Mexico to the southern borders of America. Despite the terror of the journey itself, it is better than staying where they are. 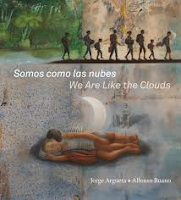 Jorge Argueta's timely and heartbreaking Spanish words bring the plight of so many to life as he describes the fears, the doubts, the dangers, and ultimately the hopes that push them toward a new and better place. They leave their homes for many reasons - poverty, violence, war, to find family who have gone ahead of them. Elisa Amado translates his words bringing power and understanding to his poetry. I will go to Mexico. And if I can to Arizona,. where my mother is living. to buy your bus ticket." We need to know their lives, their feelings, their hopes, their sacrifices if we are to feel empathy for their need to immigrate, to find hope and peace, to find family. Empathy will guide us toward sympathy and understanding, and hopefully, acceptance. How many leave everything behind them? These poems remain true to their situation and place readers alongside the children as they tell their own personal stories. Alfonso Ruano’s acrylic artwork brings the children to life in their own surroundings, and on their travels. 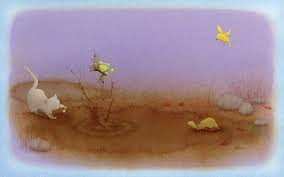 Realistic, while surreal at times, his images are a blend of quiet and bold colors in keeping with each poem's tone. He moves us from the beauty of the Central American countries to the wastelands the children must pass through to get to their destinations. This is a very important book. Please share it. and raised in Chicago. The first African American to win a Pulitzer Prize in poetry, her poems were about the 'social issues of the urban poor, in particular African-American women'. She published twenty books of poetry, which led to other Black Arts poets finding success. Kwame Alexander invites two friends to help him pay tribute to twenty poets of the world, each honored for the contributions they make to help readers understand the power of poetry. Their words have inspired readers across the centuries, in widely varied cultures and unique and personal styles. The poet authors 'pay tribute to the poets being celebrated by adopting their style, extending their ideas, and offering gratitude to their wisdom and inspiration'. and the miracle of morning. around me like a warm sea. I hold it and imagine flying. I found myself going back again and again to 'wonder' at the phrases, the rhythms, the joy found in their poems. I returned to read again poetry written by Billy Collins, Mary Oliver, Robert Frost, Nikki Giovanni, and Walter Dean Myers - some of my own favorites. Kwame Alexander's preface explains the importance that reading holds for him and talks about his passion for poetry. There are three briefly noted sections, emphasizing experimentation with style, ideas, and strong feelings evoked. Short informative biographies are included in back matter, as well as a time frame listing poets from ancient to contemporary times. I have not even touched on the incredible collages fashioned by the very talented Ekua Holmes. The textures, colors and beautifully designed visuals perfectly complement the imagery of the words. The colors are rich, the textures wonderful, and the settings compelling. It is no 'wonder' that readers will love it!